Get the current South Africa fuel prices. Get the fuel prices in South African. Current pump prices for petrol and the wholesale price for diesel. 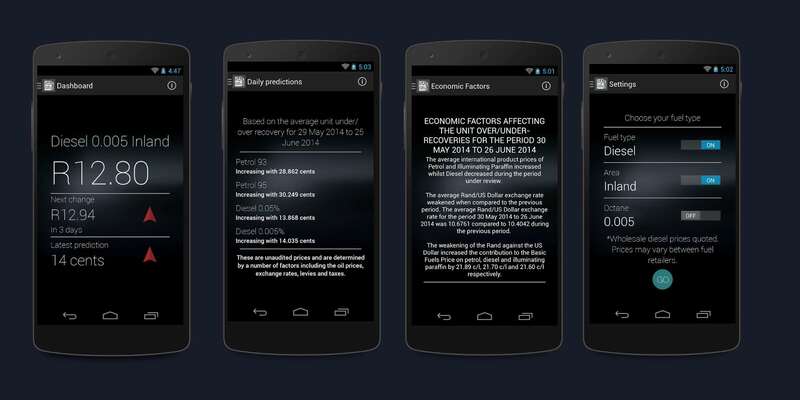 Daily predictions will give you an indication of where the fuel price is going at the end of the month. Take a look at all historical prices for petrol and diesel side by side. Push notifications will let you know if the fuel price is increasing or decreasing as soon as the announcement has been made. Take a look at the economic factors that lead to the current month's fuel price. The menu will give you a quick indication of what the latest prediction is showing, green for decrease and red for increase. 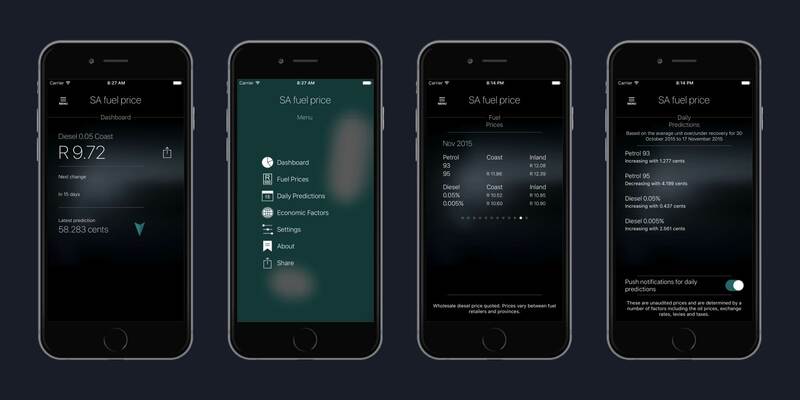 Let this app help you plan your top ups to save as much money as possible.